Mark Fletcher, Avaya’s chief architect of public-safety solutions, said that NG911’s IP-based architecture that enables access to information from multiple databases aligns well with Avaya’s heritage of providing affordable call-center solutions for enterprise sectors that demand high reliability and resiliency. “We’ve done this before. 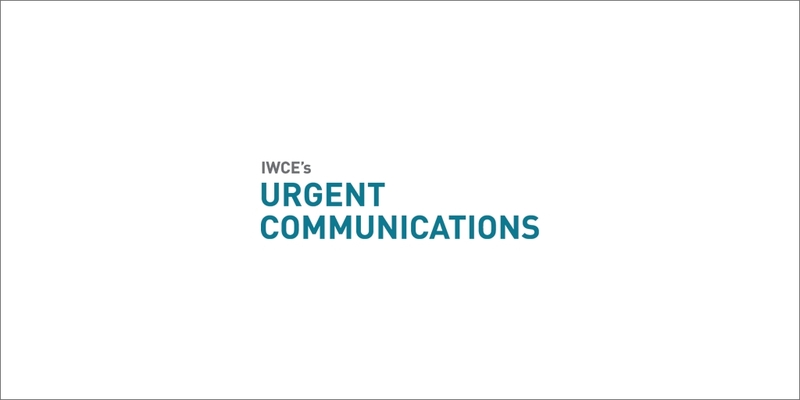 We’ve done this for some of the toughest industries on the planet,” Fletcher said during an interview with IWCE’s Urgent Communications. “Public safety is absolutely critical, because it is life safety. But let me tell you something: When the financial markets in New York City are down for two seconds, they have a conniption fit, because it’s millions of dollars that they’re losing. They not losing lives, but they’re losing money, and that’s the lifeblood of a company. So, when the financials go down, we know about it. Avaya’s increased focus on the 911 market was reflected in the company’s larger booth at last week’s NENA 2018 event in Nashville, Fletcher said. “In the past, we pretty much been backend plumbing that—on its own—has value, but it’s not an end solution that a public-safety dispatcher would look at,” Fletcher said. But Avaya has taken steps to change that perception during the past year, particularly through strategic partnerships with Beta 80, an Italy-based company that boasts its suite of computer-aided dispatch (CAD) and call-taking solutions for emergency call centers, and Avaya's new Sentry emergency-response management (ERM) product built by 911 Secure. Both products meet NENA’s i3 standards for NG911, according to Avaya. Beta 80 has had “great success” in the European market for emergency-call-center CAD, Fletcher said. Beta 80 General Manager Gregory Rohde said that Avaya was a logical partner for the Italy-based CAD provider, which is one of the first CAD systems in the world to integrate information from Waze and other crowd-sourcing data applications. “When we started looking at the U.S. market, started seeing where Mark [Fletcher] was driving Avaya in the next-gen 911 space and knowing that the market’s really about demanding an end-to-end solution, we kind of fit into that vision that Mark was creating with Avaya in the market,” Rohde said during an interview with IWCE’s Urgent Communications earlier this year. I worked for Verizon Business (30 years) as an SE selling 911 CPE backended by Nortel and more recently as an Account Executive for Intrado (5 years). This a really tough business to break into because of the trust and relationship factors. Price is a factor to the smaller PSAP’s because of the restricted budgets but the large ones are all about relationships. Everyone will ask you WHERE is this product installed and proven? Have a story! Please make certain that there is as much redundancy in our offerings as is possible. As I am sure you are aware Motorola recently acquired Airbus DS and they are the largest provider of 911 solutions followed by Intrado, serving about 90% of the market. The rest of the players are slugging it out for the remaining 10%. I’ll be very interested how this works out for us.